Natural Bodybuilding is Great for Kids as Well! Natural bodybuilding is great for kids as well! Even though for years there have been myths of how natural bodybuilding can disrupt growth in kids by closing the growth plates and causing injury, a growing amount of recent evidence suggests the exact opposite. This comes as no surprise to me as I have never read any concluding research on the myth that bodybuilding exercise will stunt growth. I feel that the proper bodybuilding training for kids is extremely beneficial for controlling weight and for health in general. Even the American Academy of Pediatrics changed their policy (PEDIATRICS Vol. 107 No. 6 June 2001, pp. 1470-1472) regarding this topic by stating that “strength training programs do not seem to adversely affect linear growth and do not seem to have any long-term detrimental effect on cardiovascular health” as evidenced in recent studies. The evidence that bodybuilding exercise for kids in the form of weight training or even body weight exercises is not a bad idea at all keeps on mounting. In a great article from the NY Times called The Benefits of Weight Training for Children, the author Gretchen Reynolds does a fantastic job at covering the origins of the “weight training will stunt growth” myth and how this is nothing more than a myth, as growing evidence continues to show. She also covers some very interesting studies and opinions of leading doctors in the field that show how weight training can be a great exercise to help kids develop better (as the proper supervised exercise will develop muscle, tendon, and joint strength) and remain injury free in sports. So my advice to all of you is to get kids involved in the proper bodybuilding exercise plan, especially if your child is overweight. Obesity in America has become an epidemic of epic proportions. What is most alarming is that this is not only a case that is limited to adults. Children are getting obese as well. According to the Center For Disease Control, 30.3% of children are overweight and 15.4% are obese. Not only does this condition create insecure children, but even worse, it can lead to diseases such as type II diabetes, asthma, high blood pressure and increased risk of heart disease later on in life. So what is a parent to do? First and foremost the most important thing to do is to provide a good example for children. If the parents do not follow a healthy lifestyle then it will be very hard for the children to follow one as well. If your kid is getting overweight, then you may want to get involved with your child on a bodybuilding program as research indicates that the benefits adults gain from weight training are also gained by kids (1-4). And let us not forget that this type of exercise is great preventive medicine against diabetes, high blood pressure, obesity and heart disease. Isn’t Bodybuilding Training Unsafe For Children? 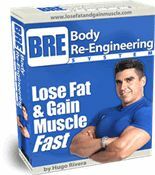 First and foremost we are not referring to a competitive bodybuilding program here. We just want the children to become more active by engaging on light weight training exercises, a fun cardiovascular program and a healthy eating plan. 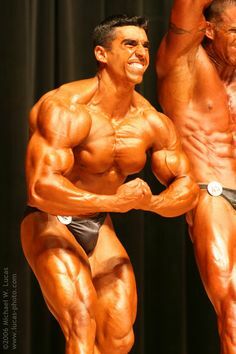 In my case, it was simple to get my son Chad (10 years old) involved as he is always attending bodybuilding shows and his friends think that it is awesome that I compete, so of course he is the one that asked me to get him involved in the activity. Doesn’t Weight Training Stunt Vertical Growth? This is a myth that I have been fighting for years. In conversations with my grandfather who used to be an Orthopedic Surgeon who graduated from Northwestern University with top honors, he told me that as long as the resistance is not so high that it would cause the bones to become more dense and thus close the epiphysis (the growth area of a long bone) then there should not be any detrimental effects. As a matter of fact, the American Academy of Pediatrics recently changed their policy (PEDIATRICS Vol. 107 No. 6 June 2001, pp. 1470-1472) regarding this topic by stating that “strength training programs do not seem to adversely affect linear growth and do not seem to have any long-term detrimental effect on cardiovascular health” as evidenced in recent studies (5). The weight training component of the bodybuilding formula for kids need only be executed a couple of times a week. 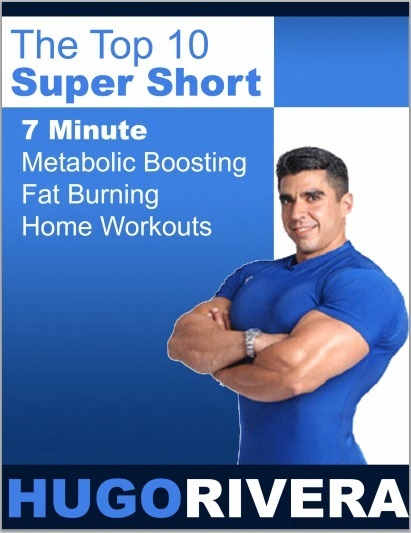 In my experience, a full body routine composed of free weight basic exercises works best. The routines below can take a kid from a completely beginner level to an intermediate level. Perform each exercise for 3 sets of as many repetitions as can be performed with good form. The goal is to do between 15-30 repetitions. Rest 30-60 seconds in between sets. Only use a resistance of 2.5 to 5 lbs on exercises such as one arm rows, lateral raises, biceps curls, and overhead triceps extensions. The other exercises can be used without any resistance as the bodyweight will suffice. Concentrate on ensuring that your kid practices perfect form in each exercise and only allow for an increase in resistance when more than 30 repetitions are performed with abosolute perfect form. As your son or daughter shows an interest in getting more advanced, after 8 weeks of the program above more exercises can be incorporated if desired. For most kids however, the beginner program suffices. 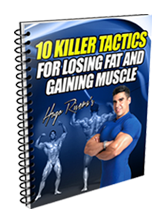 You can use a resistance on each exercise that allows for 15-30 good repetitions. Workout (A) can be performed on Monday and Workout (B) can be performed on Friday. Any combination that allows for a minimum of 2 and a maximum of 3 rest days in between weight training workouts will work too. Notice that Workout (B) requires some additional home gym equipment or the use of a commercial gym so if this is not an option, then just stick to the beginner’s routine for the time being. Concentrate on ensuring that your child practices perfect form in each exercise and only allow for an increase in resistance when more than 30 repetitions are performed with abosolute perfect form. First and foremost, before involving your child in weight training exercise, be sure that you understand the form and proper execution of each exercise so that you can teach them appropriately. Otherwise, I would highly encourage you to find a qualified trainer. Second, before even beginning the weight training program, make sure that you get his/her pediatrician’s clearance. Third, take a look at my Safety Tips article and make sure that each one of those is being followed in the best manner possible. Finally, ensure proper supervision at all times during the activity and restrain your child from using loads that they cannot handle. 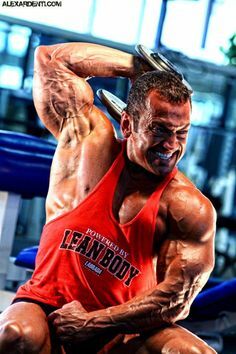 I advice that you make your natural bodybuilding training as a family activity where in that manner, you can supervise and coach your child while at the same time you get your workout in and some family time also. 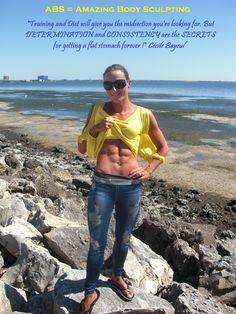 This is a practice that I have followed with great success as well as some of my good friends who practice bodybuilding and have kids. Leave a Comment with Facebook for Natural Bodybuilding is Great for Kids as Well!